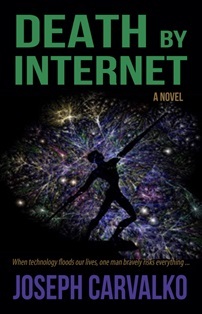 DEATH BY INTERNET A NEW NOVEL BY JOSEPH CARVALKO Carvalko takes the reader to the outer edge of technology and ethics in a speculative fiction that evokes the bizarre power of the Internet to reveal if the world is merciful. A fitting topic in light of contemporary America, with its frequent violent episodes and inadequate political responses. Strapped down and dying in a prison cell, Sam Mariani tells the story of how he searched for an objective "good," inviting the public to respond to his blog, but rather than click the familiar “Like” button as on Facebook, they voted to either “Die” or..
E-COMMERCE: ITS Growth AND Long run PRESPECTIVES In the simplest kind, E-commerce refers to the utilization of web with the reason of carrying out internet marketing business transactions of both of those services and products. The sector of E-commerce is very wide and it makes use of many other technologies; like, online transaction processing, inventory management model, supply chain administration model and the web banking to name several. (more…)..
DEATHBYINTERNETPODCAST DEATH BY INTERNET my new novel is a thriller about a domestic revolutionary and the government’s efforts to silence him. The story plays out in a prison cell, where an old man, half Native American, waits to be executed. He tells about his life, the violent deaths of his parents, his activities as a Indian activist, during the Indian uprisings of the ’70s, and then the years spent underground to avoid prosecution. One day he decides to take one last stand, and make a social statement by connecting himself to the Internet to provoke his audience to vote, whe..
SELF ABSORPTION-Where Will Technology Lead Us? My new novel is less than 90 days from release. It is a suspense-filled political/social tale about technological nihilism, as narrated by a man strapped down in a prison cell, who tells us how he launched a website that connected him to a contraption that would reveal whether the world was compassionate or callous on the basis of the public’s responses to his blog. He invited subscribers to read a his posts, but rather than click the familiar “Like” button as in Facebook, they would vote either “Live” or “Die.” As a live Internet broadcast, the world watches, and depending on the user’s cho..
New York, NY – Musician, Lawyer and Writer, Joseph Carvalko, publishes his intimate poetry collection, Detrás del Acero, through digital publishing platform, Editorial Trance. This e-book expresses a longing to love, while railing against injustice, and paying tribute to those who fought for and built America. 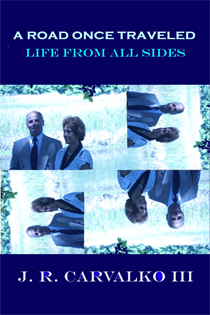 It is available for the iBOOK, Kindle, Google Play, and Nook platforms, at their respective outlets. "My grandfather, a union activist, organized bakery workers in NYC at the turn of the 20th century. My father was a union man, organizer, president for 35 years fighting for sweatshop wor.. Behind the Steel, a book of poetry, takes the reader through a century filled with the experiences of people who toiled in the inner cities, on vast prairies, and who came to know the zones of war, and other conflicts, and offers a perspective that will resonate with anyone who thinks hard about where we came from and for what purpose. 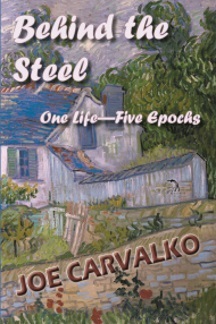 Carvalko's work deals with death, loses of the heart, and old age, when the past stands still and time quickens, when the echoes of the past ricochet and scatter into pure energy. He casts a sharp eye into a search for meaning through action, but discovers that..
My short story about two elderly veterans appears in All Gave Some, (Red Engine Press, 2014, 457 pps) an anthology of fiction and nonfiction military themes. 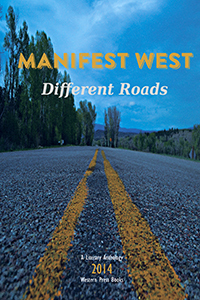 Writers range from well-known historians and novelists to first-time authors. 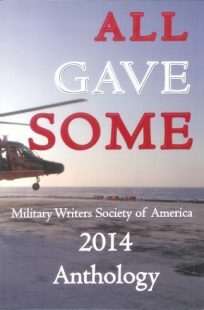 The 2014 edition is produced under the auspices of the Military Writers Society of America. It begins: Today, while giving CPR to a bed of roses that aren’t surviving a sudden heat wave, I kept thinking about Harry, who’d come to Florida to visit me from up north to get away from what turned out to be a punishing winter on a lake, where winds pushed upwards of f..
My poem: “County Road 80” about a New Mexico Sephardic Jew appears in Manifest West: Different Roads (Pub: University Press of Colorado) an anthology that reflects both "the myth and the truth about what we call the 'West." The editors of Different Roads remind us that our "strength lies in differences, not in similarities," what Stanley Baldwin refers to as "the many-sidedness of truth.------------ COUNTY ROAD 80----------- Between Cordova and Truchas, el hombre looks skyward, wizened, blinded by the sun’s flux, in honor of that birth-marked wiry muscled clan clawing desiccated soil from an I..
My coauthor Cara Morris, Esq. 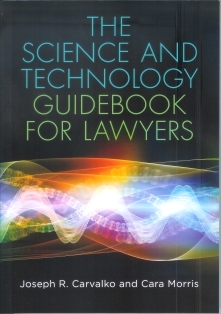 and I are delighted to announce our publishers, ABA Publications, released The Science and Technology Guidebook for Lawyers. We believe it is the first comprehensive text, aimed at legal professionals, to help them understand the important role science and technology play in rationally dealing with global warming, genetic engineering, privacy, intellectual property, criminal justice, and the imminent explosion of electronic medicine. 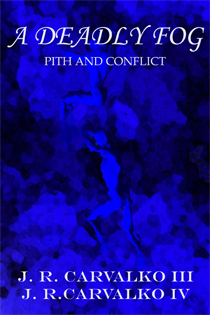 For an excerpt go to: http://shop.americanbar.org/eBus/Default.aspx?TabID=251∏uctId=214830..
By Joe Carvalko As the centuries turned one into another, we lost the gift of ancients for hearing muted primal screams, for seeing Munch’s faceless shriek— the unmistakable precursors of everything spiraling into darkness. I did not see her wane and wander in the whirligig of despair, until they threw the keys away. They took her to the place where lights bounced-off linoleum worn and polished, behind metal doors with a window— a lock turned, behind which people twirled, laughed, lifted dresses over their heads or sucked their thumbs and bawled. I searched for tapestries of blues, births, dea..
By Heather Brandon WNPR News at WNPR.org November 11, 2013 The following is a keynote address delivered by Joe Carvalko at the Milford Veterans' Day parade on Sunday, November 10 on the town green. Carvalko is an American author and lawyer born in Bridgeport. 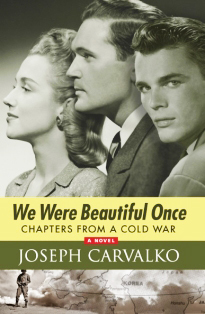 His recent novel is We Were Beautiful Once, Chapters from a Cold War. Carvalko is a veteran of the Air Force (’59-’64), 307th Bomb Wing, Strategic Air Command, and is Adjunct Professor of Law at Quinnipiac University, School of Law. Learn more about him at carvalko.com. Remembering, and ForgettingBy Joe Carvalko Each year, on the eleventh..
Veterans of the Iraq and Afghanistan wars and the Cold War era gathered at Fairfield University Monday night, November 11, to read from their creative writing. After the readings, the veterans participated in a panel discussion about the therapeutic value of writing. Three of the veterans served in Iraq and Afghanistan. Colin D. Halloran is a U.S. Army combat veteran who served in Afghanistan and is the author of the award-winning memoir-in-verse Shortly Thereafter. He read from the book Monday night. "The only way to determine the pain and suffering experienced in the wars is to ask the peopl..
“Proud to Be” Volume Two Launch Friday, November 15, 2013 10 a.m.-12 p.m. University of Missouri—St. Louis St. Louis Mercantile Library AND 7-9 p.m. St. Louis Public Library Central Branch Auditorium Please join us to celebrate the publication of the second volume of the “Proud to Be: Writing by American Warriors” anthology series with reading by and about veterans. The anthology is a collection of prose, poetry, interviews and photographs by veterans, military service personnel and their families. The series is made possible through collaboration of the Missouri Humanities Council, Southeast..
A Deadly Fog portrays war in its various manifestations, historically and as we witness war around the world, today such as in Iraq. Through stories, essays, poems and importantly art, it draws the reader through the voice of the poet and the eye of the artist in a relentless expression of how war brings whole societies to their knees, killing, maiming and displacing thousands of people, both civilian and combatant. Based partly on firsthand experience and oft-heard narratives, the Carvalko has endeavored to describe human emotion at the deepest levels of loss and longing. The work has been th..
A hard but intimate look into the life of one man and his travels across an epoch of experience, place and time. It speaks to the universal experience of wanting to discover an inner-self. 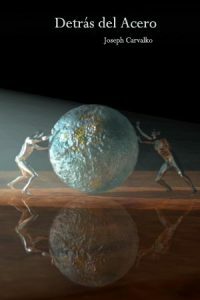 In a deeply personal introspection, Carvalko concludes that life forms around a heritage having outlooks, strengths and weaknesses that antedate birth. Once born we immediately begin to modify the heritage passed down creating lifelong attitudes through which we assess right, wrong, the good and the bad. We come to learn about what makes us happy, sad, frightened and motivated and this too has a lasting affe..
hello auther how are you ?.. Sunbury Press has released Joseph Carvalko's novel "We Were Beautiful Once"; a murder mystery and legal drama set during the Korean War Mechanicsburg, PA - Sunbury Press has released Joseph Carvalko's novel "We Were Beautiful Once"; a murder mystery and legal drama set during the Korean War ABOUT THE BOOK: "We Were Beautiful Once" is a psychologically complex courtroom novel that builds an intriguing web of events, creating a sustained sense of anticipation from chapter to chapter in the mold of John Grisham’s The Pelican Brief, where trial lawyer Nick Castalano tries to uncover the fate of Ro.. So, without further ado, here are the Esurance Poems of the Road winners. Congratulations to you all! First place My Favorite Roads, Khristian Kay My Favorite Roads are ashen a chalky white of patched and cracked arthritic asphalt aged and bleached there is no centerline no paint no makeup just raw flesh under a midday sun no defined lines limiting access but rather following the collective observable rules of good conduct and neighborly jurisprudence specifically for the polite travelers the vagabonds trespassing moments these are not the shiny black roads the glistening star lights on a sabl.. 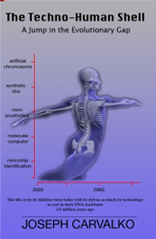 The Techno-Human Shell-A Jump in the Evolutionary Gap, discusses smart prosthetics and medical devices for therapeutics, particularly the implications of the proliferation of in-the-body technologies to augment and enhance physical performance, intelligence, extending lifetimes and controlling technology outside the body via digital I/O and thought. It looks at the history of a number of therapeutic devices, such as the modern pacemaker, as well as the current state-of-the-art and conjectures as to where science and technology is headed. For example, medical and prosthetic technology now verge..
Nick Castalano, a small town lawyer ventures into a web of betrayal, murder and corruption in this legal-suspense thriller to solve the mysterious disappearance of a POW during the Korean War. Using the courtroom juxtaposed to the battlefield, Carvalko methodically takes us through how a soldier MIA behind enemy lines has a profound effect on the lives of those left behind. Out of two rooms over Zorba's Luncheonette, Nick runs what the local white-shoe firms call a one-lung law practice. On behalf of the family searching for their brother, Nick sues the U.S. Army to uncover the truth behind P..